1. Go to www.socrative.com and click Student Login.Note: You can also access the login screen directly from b.socrative.com or by opening the Socrative Student mobile app. 2. 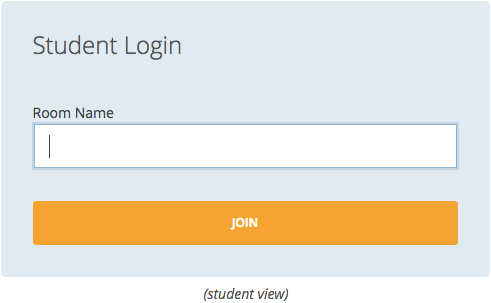 Have your students enter your unique Room Name into the corresponding field, then click Join. 3. 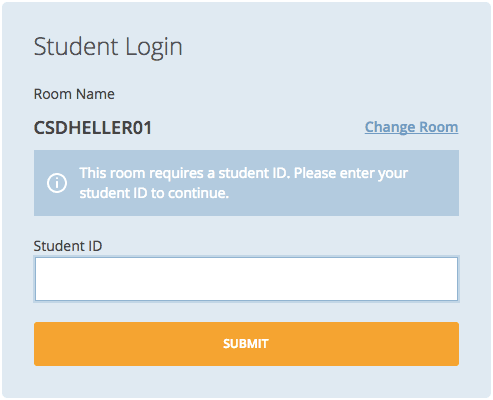 If the room is private, your student will be required to enter their Student ID before clicking Submit.Note: If the Student ID doesn't match one assigned to a student in that particular room's roster, they will be unable to log in. 4. As students join your private room, they’ll be able to participate in all of the activities that you start until the room is cleared or they are logged out.